A passion for excellence. Never being satisfied. Always exploring, looking for new ideas and new ways of doing things better. The pure unadulterated joy of designing and making very cool things–it’s more like play than work. And maybe just a hint of healthy paranoia. You know, the kind every smart business person has. That’s the overwhelming take-away one gets after a visit with Carbide3D’s founders and a tour of their Southern California Headquarter’s. 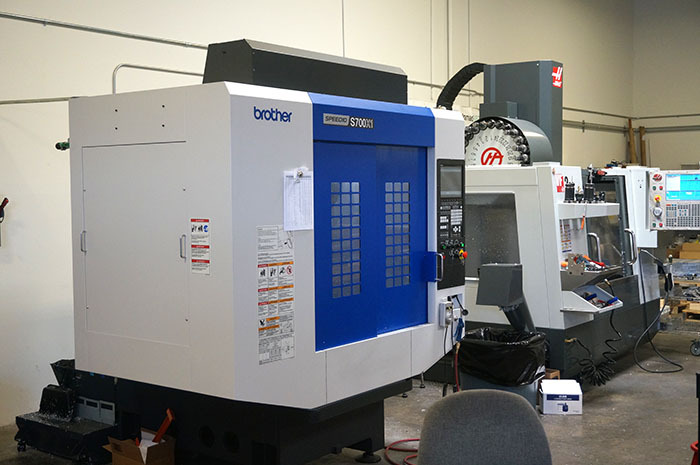 Their facility consists of a large manufacturing space housing 2 VMC’s, an assembly area, and a variety of other gear. Attached is a break room and upstairs are some offices and meeting rooms. 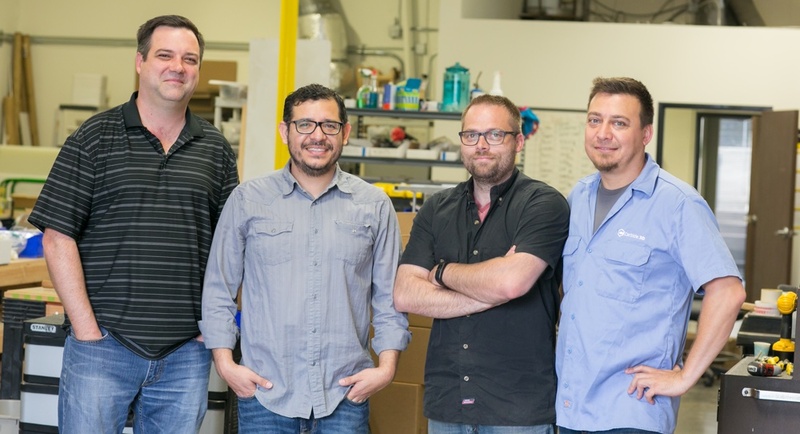 One of Carbide3D’s secrets is they not only design their own machines, but also write their own software that can be customized to their specific needs. Before helping to found Carbide3D, Robert Grzesek built MeshCAM, one of the world’s easiest to use CAM programs. Now, Robert is building Carbide Create which adds a ton of additional capabilities. Full disclosure: When I tried MeshCAM, I liked its simplicity so much that I got Robert to let me resell it here at CNCCookbook. 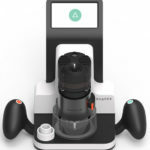 There is more powerful CAM software to be had, but I have yet to see a package that makes it easier for beginners to get started. Given the learning curve of CNC, it just makes sense to start out simple and worry about powerful later. 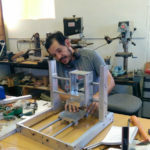 For the time being, Carbide3D has decided to focus on constant improvements to their line–the fully assembled Nomad and the Shapeoko kits. 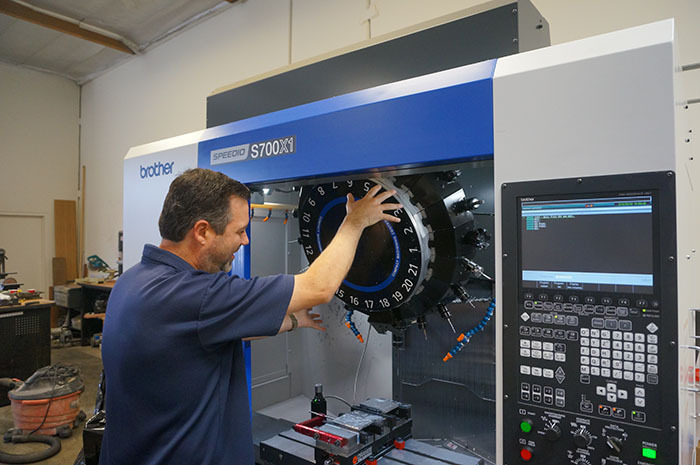 When they started, they had outsourced a fair amount of work to China, and some work to local machine shops in the Southern California area. 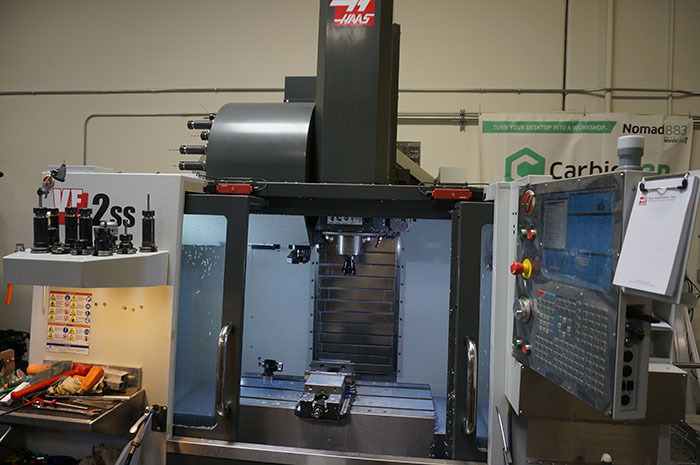 Since that time they acquired their first VMC, a Haas, paid it off early and went straight into a second machine that’s even more production capable, their Brother. In the process, they’ve cut off most of the work in China with the exception that things like Stepper Motors and bearings still come from there. As for the custom machining, the way Robert put it was that their margins are a little less making all their own parts, but the quality is so much higher that it has been totally worth it. Plus, they have the ability to turn on a dime when it comes to making improvements. Getting such improvements through the full supply chain to China and back to finished parts landed in the US is a many-weeks long process. Not only have they grown from one to two VMC’s, and they’re keeping them both busy, they’ve doubled their staff over the past year. On build day, when they assemble Nomads and ship them out, a LOT of machines go out the doors. In addition to touring the facility, we had a long lunch together and the chance to talk about the future of the Maker CNC World and Carbide3D. It’s definitely a bright one. They weren’t spilling too many secrets, but my sense is the Carbide3D gang are ready to hatch a new product of some kind before too long. They have that certain gleam in their eye when you touch on topics that it’s clear they’ve discussed and decided long ago and are moving forward on. 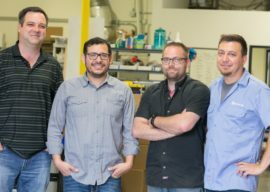 With this kind of single-minded focus on excellence and continuous improvement, it’s no wonder Carbide3D’s Nomad CNC Mill won Makezine’s Digital Fabrication Shootout award for Best Desktop Mill. 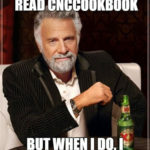 Our own CNC Router survey confirmed that Carbide3D/Shapeoko has the largest market share among CNCCookbook readers, and owners of these machines reported the highest customer satisfaction. Obviously, they’re doing something very right and they’re determined to keep right on with that trend. I can’t wait to see what new products they introduce. View from the offices to the roll-up doors in back. VMC’s on the right, assembly in the center, storage out of sight on the left. Everything fairly tidy. Robert’s walking me through the extremely fast tool change on the Brother. Really a neat machine for production. A batch of finished shiny parts right off the Brother. 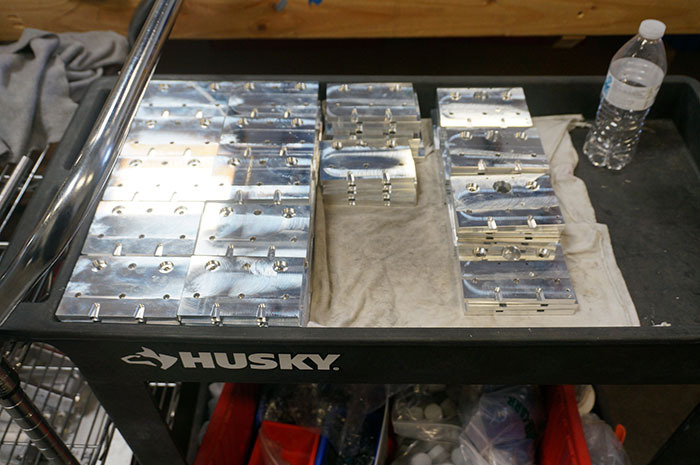 These will go to be bead blasted and hard anodized before returning for assembly into a Nomad CNC Mill. Do you like weird gears? Wooden gears? 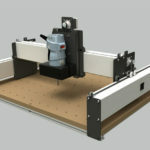 Do you have a CNC router?